The third floor MOCR 2 and four of the surrounding rooms are the only portions of Building 30 that have been designated the National Historic Landmark and are now called the “Apollo Mission Control Center.” The four additional areas included in the designation are the Display Projection Room, the Simulation Control Room, the Recovery Control Room and the Visitor Viewing Area. These rooms are included because they are adjacent to the MOCR; the most visible and now, iconic room that represents the history of America’s space program. It is also the area that future visitors will partially see on their tours of the Johnson Space Center. 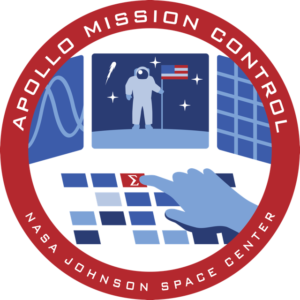 MOCR 2 will be fully restored and the Display Projection Room will be modified to present typical information on the large group displays that will represent what the flight controllers saw during Apollo and will be visible to the visitors. The Simulation Control Room will only be partially restored. Currently, the Recovery Control Room will not be restored due to lack of funds and only a large photo of the room will be affixed to the glass window. Visitors can only see these rooms thru the glass and will not be able to enter the rooms. The Visitor Viewing Area will be restored as it will be used for tours and receive thousands of visitors over the years who can look at the fully restored MOCR thru the glass partition and see how the room appeared during the glory days of Apollo.